We try out DeLonghi's new minimalist filter coffee machine. It's got a stylish stripped-back design, but does it make a tasty brew? DeLonghi claims its Clessidra filter coffee machine offers precision brewing wrapped in a deceptively simple and eye-catching exterior. But at £150, is it worth splashing out on? 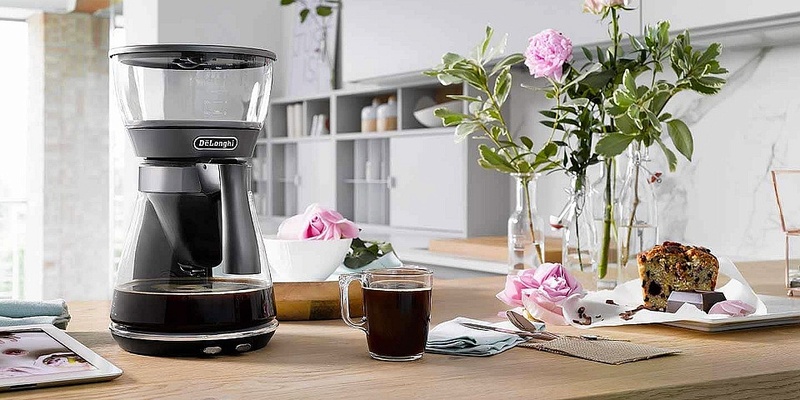 DeLonghi is known for its stylish small appliances, from toasters and kettles to coffee machines, and the Clessidra, with its smooth hourglass silhouette, is no different. It’s not just a looker, though. The Clessidra has can make 10 cups at a time and has precision brewing control, approved by the European Coffee Brewers Centre, which works within a strict temperature range (between 92°C and 94°C). 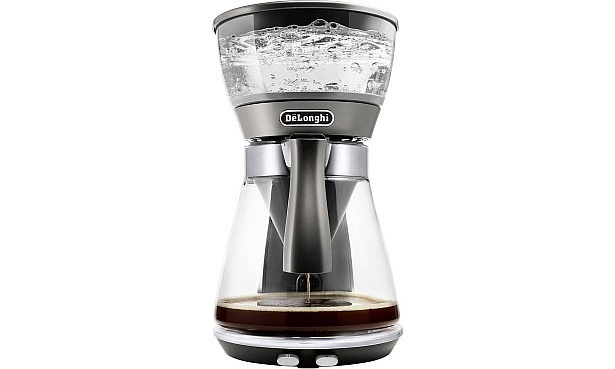 It can also keep your coffee warm for up to 40 minutes after brewing, after which it shuts off automatically. Helpful extras, such as a descaling alert and an anti-drip system, should make for a fuss-free brewing experience, but does it make coffee worth waiting for? Read the full DeLonghi Clessidra first look review to get our initial impressions. What’s different about the Clessidra coffee machine? The Clessidra has an unusual design. The filter sits inside the jug, rather than above it, allowing you to admire the bubbling water in its clear container. This, and the minimal design, adds a sense of style and drama to the brewing process. DeLonghi says it’s easy to clean up, too. 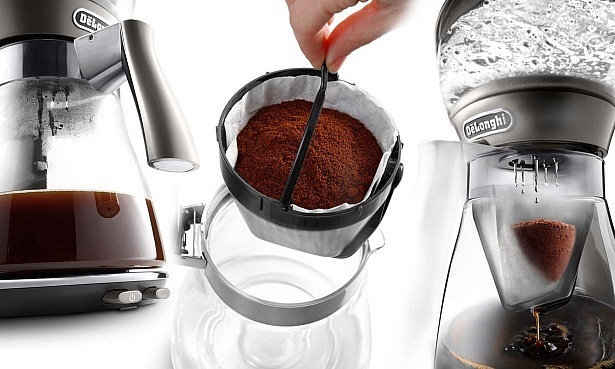 You simply remove the filter and place it on the supplied stand, so you can pour your coffee. However, other filter coffee makers don’t have this step, as the filter is built-in above, so you can just pour straight away. The Clessidra has two settings: precision brew and pour-over. The pour-over setting uses a showerhead design and pulses of hot water to replicate a hand-poured technique, which is said to improve the aroma and flavour of the coffee. To see what we thought of the resulting coffee in our initial tryout, check the full first look review. Filter coffee works along similar lines to an espresso machine; hot water passes through ground coffee and a fine filter. The difference is that espresso – as the name suggests – is fast and the water is pushed through at high pressure, and the result is a more intense shot of the good stuff. Filter coffee requires a touch more patience, as the water passes through the ground beans through the force of gravity alone. But to connoisseurs, this extra time makes all the difference, allowing the beans to impart a more complex flavour and aroma into the resulting coffee, and giving a lighter and less acidic drink. Another advantage of filter coffee machines is that they allow you to prepare more coffee in one go – handy for when you have guests over and want to serve up multiple cups at once. Most also have a hotplate to keep the coffee warm, so you can easily top up. If you’re on a budget, we’ve found some brilliant filter coffee machines that make a tasty jug of coffee, including some cheap models for less than £50. But some models we’ve tested proved disappointing, making a watery and unappetising brew. Head to our filter coffee machine reviews to compare popular models and find the best for your budget. If you’re looking to buy a coffee machine for yourself or a loved one, but don’t know your Nespresso from your filter, check out our guide to buying the best coffee machine. Want to grind your own beans for a fresher flavour? Take a look at our coffee grinder reviews. See our top reusable coffee cup picks for taking your coffee on the go, and reducing your plastic footprint.